One of a kind necklace. 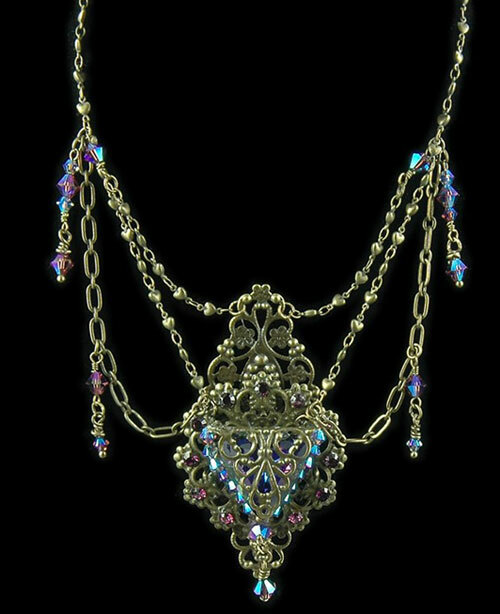 A rare violet triangle shaped Swarovski crystal is held captive by small AB Tanzanite beads and sets upon richly detailed antiqued brass filigree. This lovely pendant is suspended from antiqued brass cable chain and tiny brass heart chains with delicate dangles on either side of AB violet Swarovski crystals.